Blackjack is one of the most popular card games at online casinos with a history that dates back hundreds of years to Europe. Its simple rules, combined with optimum strategy, make the game popular with both casual and professional gamblers. Playing blackjack online gives players access to a large suite of variations, allowing blackjack fans to choose the game that most appeals to them. Some of these online blackjack variations include classic blackjack, blackjack surrender, perfect blackjack, pontoon, lucky blackjack, blackjack switch, 21 duel blackjack and progressive blackjack. There are many other benefits of playing blackjack online. You have access to the online casino games at any time of the day or night and can contact the customer service team at any time as well. You can play for huge jackpots or find a game to suit any size bankroll. Claim the welcome bonus to boost your bankroll before you even start and you will be able to continue playing for longer, increasing your chances of winning. Blackjack can be traced back to Europe where it most likely originated from the game, Vingt-en-Un which was played in France in the 17th century. The rules of Vingt-en-Un were similar to blackjack as we know it today, with a few exceptions. In Vingt-en-Un, players bet after each round, as opposed to before it as we do in blackjack and the dealer was able to double down, but not the players. Similar to blackjack, players were awarded a special payout for a hand consisting of a Jack and Ace of Spades – literally, a black Jack. The concept of going bust did not come from Vingt-en-Un, but rather from a game called Seven and a Half that was played around the same time. In the game of Seven and a Half, players were required to add their card values together to form a hand value that was as close to seven and a half as possible without going over. After the French Revolution, blackjack was brought to the US and it became instantly popular. In the beginning of the 19th century when gambling was outlawed in the US, the game of blackjack moved underground where it continued to thrive. From 1931, when gambling was legalised in Nevada and land-based casinos were established, blackjack began to grow even more. Blackjack moved online when the first online casinos were launched in 1994. This made the game available to a wide audience across the world. 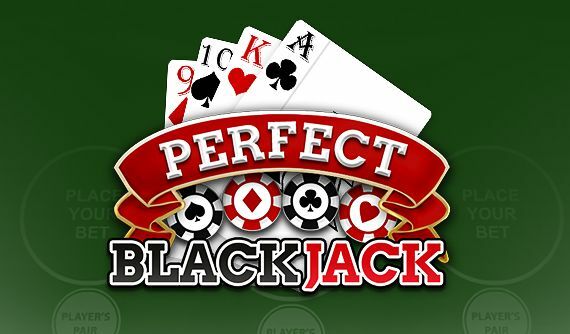 Blackjack fans now had access to numerous game variations in one convenient location. As technology continued to improve, more and more online casinos were launched, making the online blackjack games even more accessible. In addition, mobile technology was developed and the first mobile casino software was released allowing online blackjack fans to enjoy the games on the go from the palm of their hand. The aim of the game of online blackjack is to create a total hand value of close to 21 than the dealer without going over. Each card has a value – two through ten have their face value; face cards have a value of ten and Ace has a value of 1 or 11 depending on the value of the other cards in the hand. The rules of the game may vary depending on the variation you are playing so it is important to be familiar with the game before you begin. To begin the game, you must place your bet. You will then be dealt two card face up and the dealer will be dealt one card face up and one card face down. At this point you will need to play your hand and as the player, you will have many options. Surrender – Some online blackjack games offer the opportunity to surrender your hand. In many cases you can only surrender once the dealer has checked for Blackjack (late surrender), while in some cases you can surrender before (early blackjack). Insurance – if the dealer’s up-card is an Ace, you can take out insurance against him having Blackjack. If the dealer has Blackjack, you win the insurance bet and lose the game bet. Double down – receive one more card and end your turn. This is available only on the first two cards. Split – If you have two cards of equal value, you can split your hand into two separate hands with separate bets. In many cases you can split after splitting. If you split Aces, you may be able to receive only one more card. Hit – Receive one more card. You can continue to hit until you go bust or choose to stand. Stand – Receive no more cards and end your turn. Understanding the odds in a game of online blackjack can help you understand the best way to play the game. The overall odds of the game can be as high as 7-8%, but the good news is that by playing with optimal strategy, you can reduce those odds down to as low as 0.5%. The odds in the game can be high because the dealer plays last. This means that some of the players will already have gone bust by the time the dealer plays, leaving him with a smaller number of people to compete against. In addition, the players that go bust will lose their bet regardless of if the dealer later goes bust or not. The odds of you going bust increase the higher your hand total is. This means that if you hit on a hand total of 20, the odds of you going bust are 92%. Compare this to the 31% odds of going bust when your hand total is 12. In most cases, it is recommended to stand on a hand total of 16 or 17, which have odds of going bust of 62% and 69% respectively. Understanding the odds of the dealer achieving certain hand totals can also help you. The odds of the dealer achieving a hand total of 16, is 28.36%, which works out to the hand total with the highest probability. This means that if you have a hand total of 15 or lower, the odds are in favour of the dealer beating you. In contrast, the odds of the dealer achieving a hand total of 21 with three cards, is only 7.36%. The basic strategy charts that players can use take into account the odds of the dealer going bust based on their up-card and recommend player actions accordingly. How is free blackjack online played? When do you hit, stand, double or split in blackjack? How do I become a better Blackjack player? What is the easiest way for a player to learn how to play the game of Blackjack? What is soft 17 in blackjack? What's the hold percentage of blackjack tables in Vegas? How Blackjack is different from Roulette? How do Blackjack tournaments work? Is it technically possible to hit 21 in blackjack? Why was 21 chosen as the number to play to at blackjack? What is the height of a standard deck of blackjack cards used in a casino? How much time it takes to create a perfect full graphics Blackjack game? Double – Double bets on the table. Undo – Undo the last action – remove the last bet that was placed or replace the last bet that was removed. Clear Bets – Remove all bets from the table. Hit – Receive one more card. Double – Double your bet and receive one more card. Insurance – Take out an insurance bet against the dealer having Blackjack. Split – Split your hand into two separate hands. New Game – Start a new game. Rebet – Place the same bet as in the last round. Rebet and Deal – Place the same bet as in the last round and then immediately deal. Blackjack – A 2-card hand consisting of an Ace and a card valued at 10 for a total hand value of 21. Bust – You hand value going over 21. Double down – The player option of receiving one more card and ending your turn. It is an option available on your first two cards only. Edge – The percentage advantage the casino has over the player. Hit – To receive another card. Hole Card – The dealer’s unseen (face-down) card. Insurance – An optional bet that can be placed by the dealer. It is placed against the dealer having Blackjack if his up-card is an Ace. Shoe – The box where the remaining decks are held. Surrender – Forfeit the game at the cost of half your bet. Split – Divide two cards of equal value into two separate hands to be played with separate bets. You will then need to visit the cashier to make a deposit into your account. There are a wide range of deposit methods available including credit cards, debit cards, e-wallets, pre-paid cards and instant banking. Enter your deposit amount and confirm the transaction. All of your financial details are protected with data encryption technology. On your first deposit you will be eligible to claim a welcome bonus and we offer a 100% match deposit bonus up to $400 (plus 200 free spins). Finally, visit the lobby in the casino, go to the blackjack suite and choose from the many different online blackjack variations that are available.